Sonos Inc, makers of wireless HiFi stereo systems, announced a system software update today that promises a host of new features as well as deeper integration with two of the Internet's largest streaming music providers. Here's what's new. 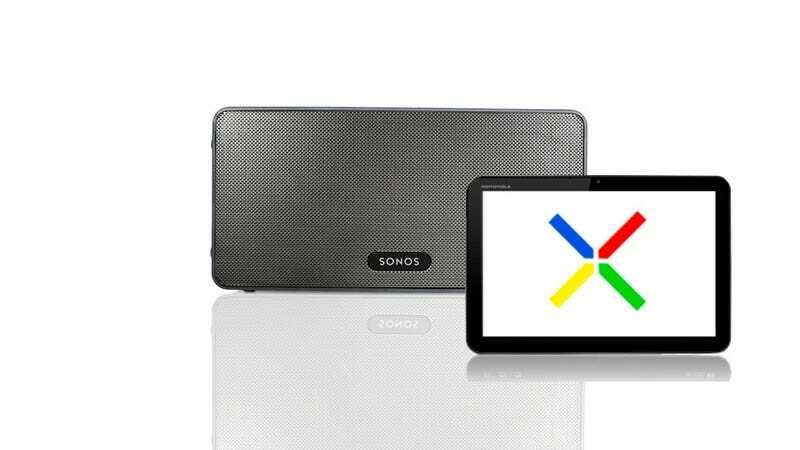 The biggest addition is that Sonos' Controller for Android has been optimized for tablets running OS 2.2 or higher. That means you can now adjust your music from a Kindle Fire, HTC Flyer, Motorola Zoom, Samsung Galaxy Tab, or Sony Tablet S. It also includes a new alarm feature, library management tools and Twitter connectivity. Update: Slacker Basic Radio does also offer custom station creation in addition to the 150 presets. The original text didn't really convey that (hence, this).